AC Milan have allegedly earmarked Arsenal midfielder Aaron Ramsey as their top summer transfer targets. The 27-year-old midfielder’s deal is valid until the summer and the Rossoneri are one of a number of clubs considering a move. Manchester United and Chelsea are both understood to be monitoring Ramsey’s situation at the Emirates and could provide competition for the Serie A giants, who would be free to negotiate with clubs from abroad in January if no new deal is agreed with Gunners before then. 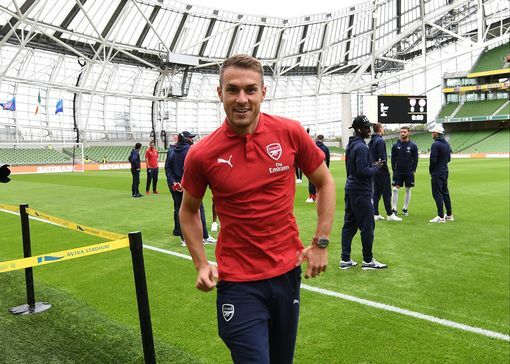 Arsenal chief executive has confirmed that Ramsey will be joining Milan on December 1, having been offered a lucrative contract by the Serie A outfit’s new owners. The report adds the Welshman is not an “immediate priority” for the Italians, although if there is an opportunity to sign the midfielder next year they will be in the running for the target.